Have some leftover cardboard packaging? 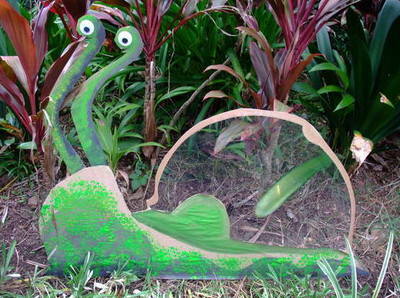 Turn it into a giant cardboard snail. 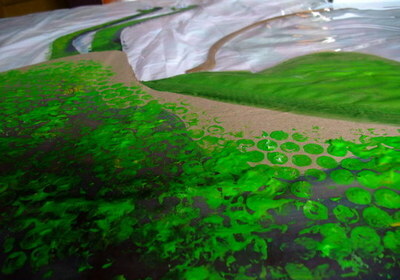 Parents will need to help out with cutting the snail out, but leave the messy bubblewrap painting to the kids! 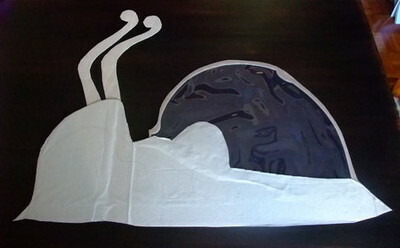 Cut out a large cardboard snail. Leave his shell empty. 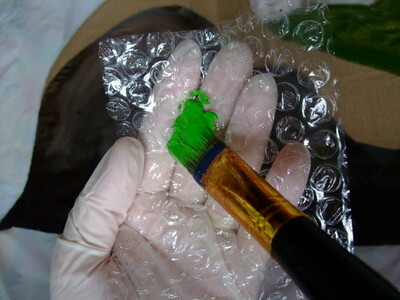 If you like, you could always use clear or coloured cellophane for the shell. 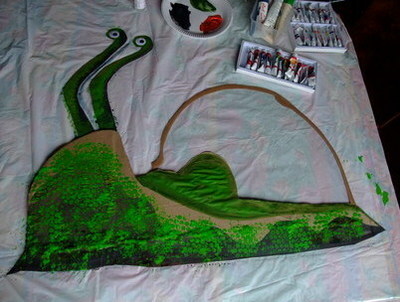 Paint in the snails lower body and tentacle eyes. 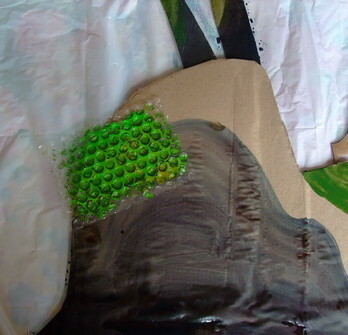 Cut out small pieces of bubble wrap. 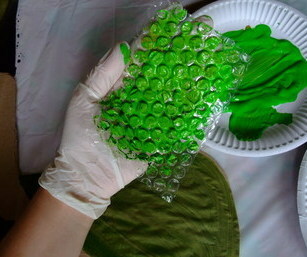 Either paint over the piece with paint, or fill a plate with paint and dip the bubble wrap onto the plate. This is messy, wear gloves if you like, or let the kids have some messy play as they press the bubble wrap along the snail. Paint eyes or glue on googly eyes.